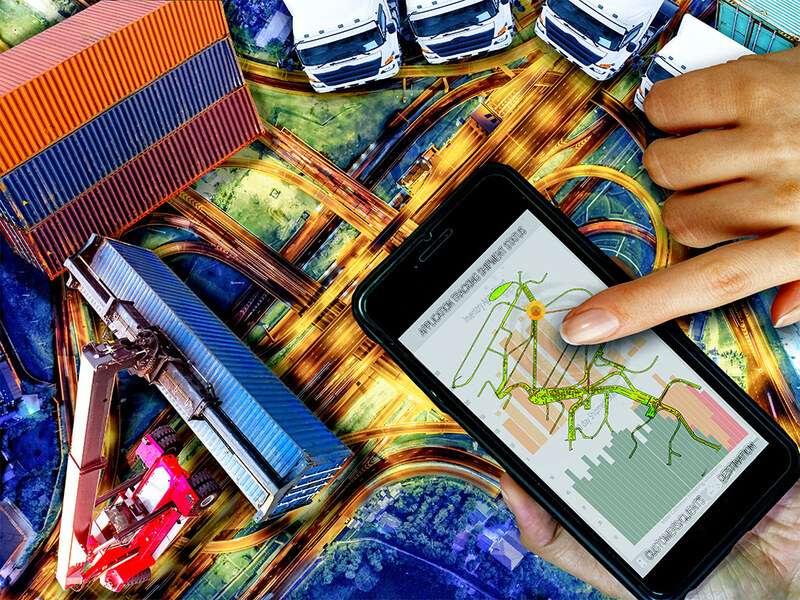 In today’s world of real-time tracking, logistics industry supply chain cannot afford to get away from sight, quite literally so. As consumers demand commodities stay visible even on the move, any service provider’s inability to do so could mean doomsday. As a result, real-time freight visibility has become a critical component in supply chain terms attributing to multiple reasons. With eyes set firmly on delivering value, stakeholders, big and small, are always looking to enhance the efficiency of transportation and logistics operations. Moreover, in tough economic conditions, real-time tracking provides an X-factor that can be leveraged to help companies take proactive decisions. It gives an edge to those who intend to keep a backup plan ready should the possibility of rescheduling, resequencing, or rerouting arrive. Those who want to keep customers informed in advance – and who would say no to that – can do so about any unexpected delay in deliveries. Perhaps, more importantly, they can also use warning to prepare for such crises. Better still, they can even reallocate resources as part of contingency plans. This is not rocket science, and the industry has already witnessed some mergers that illustrate a thrust in this direction. But a lot remains to be done, and it starts with damage control. One of the ways in which one can deliver value in this industry is by proactively resolving, or at least minimizing, the damage that can be caused by things not going according to plan. No matter what they pretend, even the best and most experienced in the industry can face these situations. By enhancing the visibility of the supply chain through real-time tracking, the organization gets to manage by exception instead of waiting for the crisis to unfold and then scrambling to deal with it. Such an approach also accelerates digital processes such as procure-to-pay and order-to-cash. Another critical metric in use these days is OTIF, i.e., On-Time In-Full. Interestingly, it is in operation not just to avoid late delivery but also ensures no deliveries before time. A case in point is Wal-Mart, which has chosen to “punish” suppliers for delivering early. While most can ill-afford late deliveries, early shipments are problems too as they create overstocks. Faced with these prospects, Wal-Mart chose to follow the writing on the wall, and rightly so. In the true spirit of matching demand with supply, visibility solutions are upping their game to meet new standards getting set in the industry. There have been reports on the embedment of machine learning capabilities and a broader set of data sources getting leveraged. Essentially, what they intend to do is try and improve demand-supply balance and help organizations avoid supply chain disruptions, galvanizing areas such as weather, traffic, location, and social networking, in the process. If you think this applies purely to the transportation of goods, think again. An IBM business – The Weather Company – has launched solutions to help freight and logistics companies improve operational efficiency. Here’s how it works. The company’s new solution, Operations Dashboard for Ground Transportation, is designed to help optimize workforce productivity and route selection for freight and logistics companies. The dashboard is customizable and contains information on weather and road conditions. Moreover, it integrates real-time traffic flow and incident data and flags safety hazards. The good news is desperate situations are leading to not so desperate measures, when if one looks at it from the technology perspective. Advanced analytics has shown the way forward on real-time big data. As a result of these collaborations, we now see analytics on real-time big data available that curate from sensors, radar, smartphones, satellites, GPS and video cameras. They are all serving one significant purpose, producing live and predictive insights. In effect, they are transforming supply chain performance. Another solution available in the market is single-platform supply chain technology providing real-time visibility across all modes and regions. However, they are still few and far between. These developments indicate that innovations in supply chain visibility capabilities are set to continue, despite the lack of data the industry continues to lament about. Until we address that challenge, it will do well to at least avoid the supply chain Bermuda triangle. © 2019 HashMove - All rights reserved.